Manufacturer of a wide range of products which include embroidery backing paper, colour felt, water soluble embroidery paper and polyfill interlining. 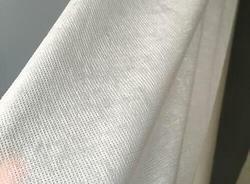 Our competency lies in providing our clients with an excellent quality Embroidery Backing Paper. We provide high-quality products to our clients. Product customization is available. 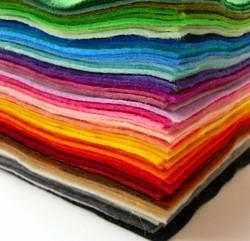 We avail our clients our unique range of Colour Felt. These are available in different thickness, colours, etc. We are offering Water Soluble Embroidery Paper to our clients. We provide high-quality products to our clients. Product customization is available. We are offering a wide range of Polyfill Interlining which is essentially used in garments and home furnishing products to protect the shell fabric of the product, to enhance its aesthetic appeal, insulation and to provide comfort. Our products are used in the market for their high-grade quality and affordable rates.